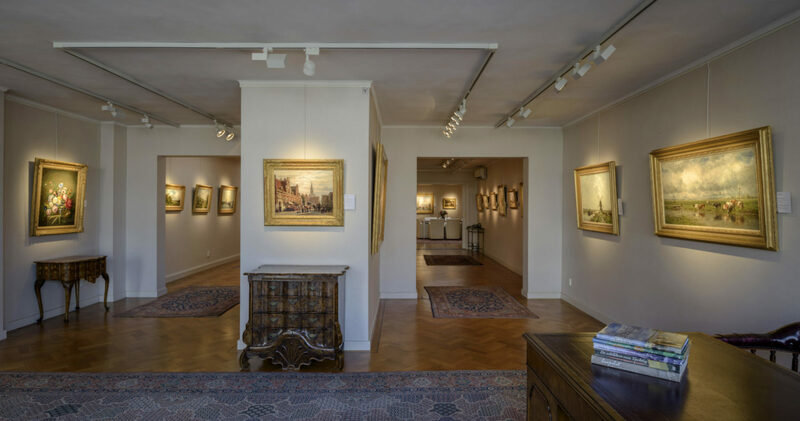 Kunsthandel Bies has been specialising in the sale of paintings from the 19th century for over 60 years. The gallery was founded by Antonius Henricus (‘Ton’) Bies. As the son of painter Marinus Bies (1894-1975) he was introduced to art at a young age. Next to paintings from the 19th century, Ton Bies also sold works from the 17th century and contemporary artists. Moreover, he restored paintings and sculptures. His spouse Trees Bies-Frissen was indispensable in the process of building the business. She handled administration, conducted art history research and frequently assisted in sales. After a difficult start the sale of paintings started to increase steadily in the 1960s. From that moment Ton Bies decided to focus entirely on 19th century paintings. In 1974 his eldest son Mari joined the gallery, just as daughter Marie-José. A few years later youngest son Hans would follow. He completed a thorough education to become a painting restorer. Afterwards Hans started his own firm and continued independently, focusing solely on painting restoration. Ton Bies took his children everywhere. He taught them to recognise forged paintings, to distinguish artistic quality and to “see through a hundred years of accumulated dirt”. He also taught them to assess the condition of a painting correctly. In 1978 Kunsthandel Bies organised its first sales exhibition in its own establishment. This would become an important, annual event. This tradition has been kept alive since. In this ‘opening of the new season’ new acquisitions in the collection are still revealed to the public for the first time. Some years later the neighbours’ building was purchased, allowing the gallery to expand considerably. Kunsthandel Bies was always able to acquire works by important masters from the 19th century. 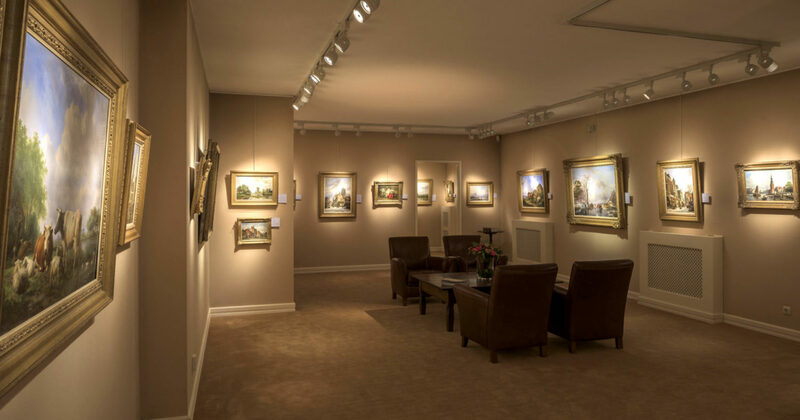 Participation in several art and antiques fairs, such as TEFAF in Maastricht, led to significant growth of the customer base. Henceforth many collectors and several museums were among the clientele. Buying as well as selling had become an international matter. When Ton Bies had to slow down in 1988 because of his health, his eldest son Mari increasingly took over tasks, assisted by his wife Marian. In 1993 the 40th anniversary of Kunsthandel Bies was celebrated by means of a large exhibition, including a selection of works that had been sold by the gallery in the previous four decades. One year later a major renovation of the building followed, again extending exhibition space. Retrospectively this was timed excellently as the gallery was on the eve of tremendous growth, thanks to strong economic developments. In 1995 Ton Bies transferred the business to Mari definitively. In beginning of 2002 founder Ton Bies passed away. The small gallery he started in 1953, had since become one of the largest and most important galleries in the Netherlands. Since then Saskia Groendijk, the founder’s granddaughter, joined the ranks after finishing her art history studies. The gallery has space to exhibit almost 200 paintings and watercolours. The entire collection is even larger. In the past years an increasingly number of paintings by important masters from the beginning of the 20th century have been added to that collection. 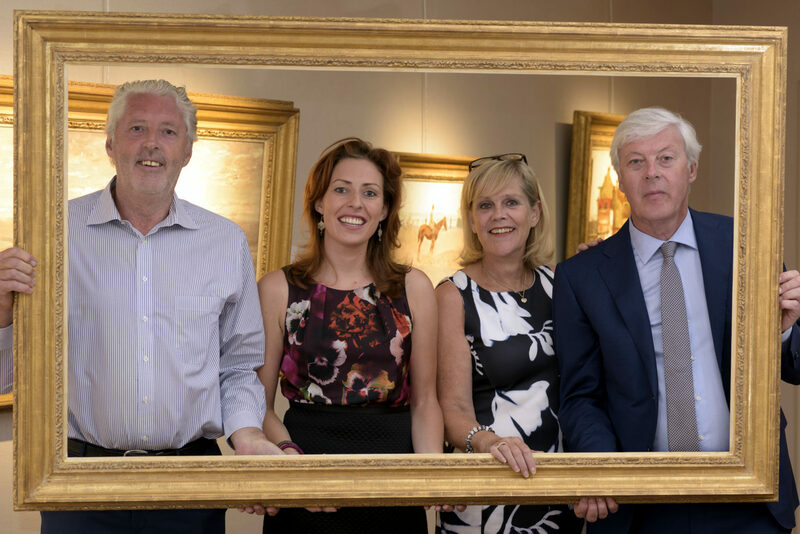 Next to in-house activities Kunsthandel Bies still participates in important art and antiques fairs. PAN in Amsterdam is permanently part of our agenda, just as TEFAF in Maastricht. The latter event is generally considered the most prestigious exhibition in the world in the field of art and antiques. This generates many sales to national and international collectors and museums. It also leads to important new contacts, that are not only relevant in the area of sales but also in the area of procurement. High quality has more and more become key for buying and selling paintings. Naturally art history research is an important part of our discipline. Furthermore, much attention is devoted to conservation, framing, hanging and lighting of the works. An art dealer is driven by the passion to be able to showcase newly discovered masterpieces every time. Therefore we always present our collection with pride.